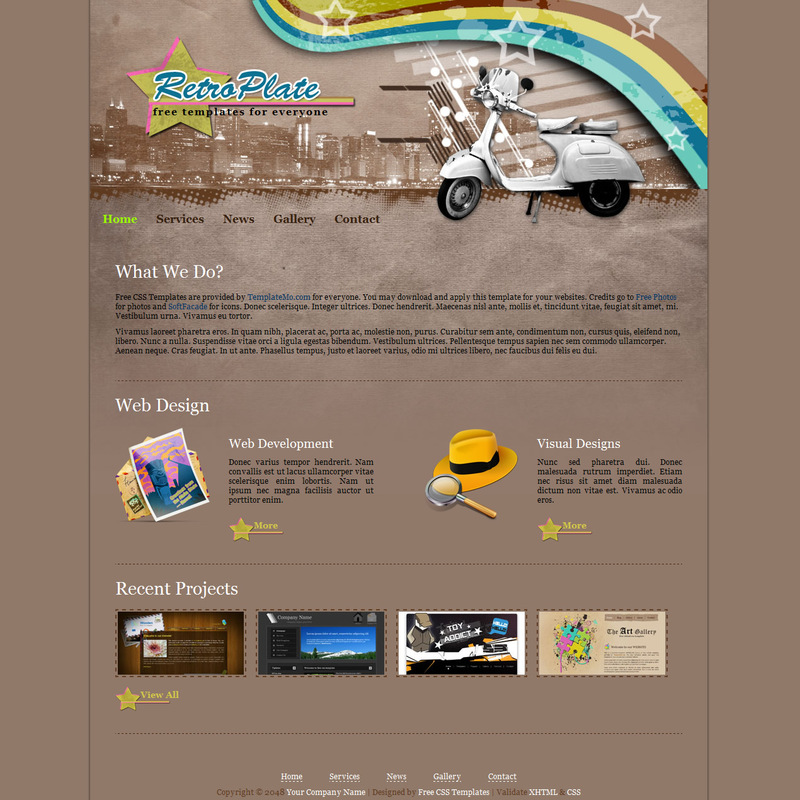 RetroPlate is a retro style template with saddle brown color scheme using attractive header graphics. Web Design is another attractive website layout for any purpose. 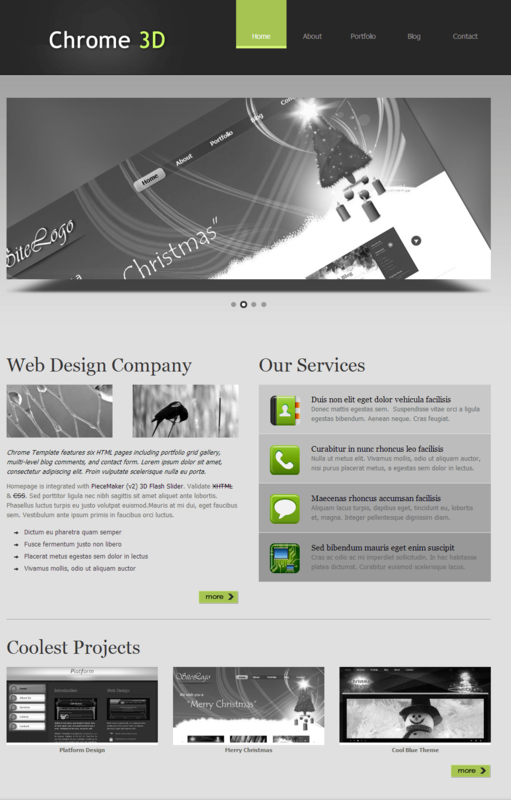 This template is created using light green and light gray colors. 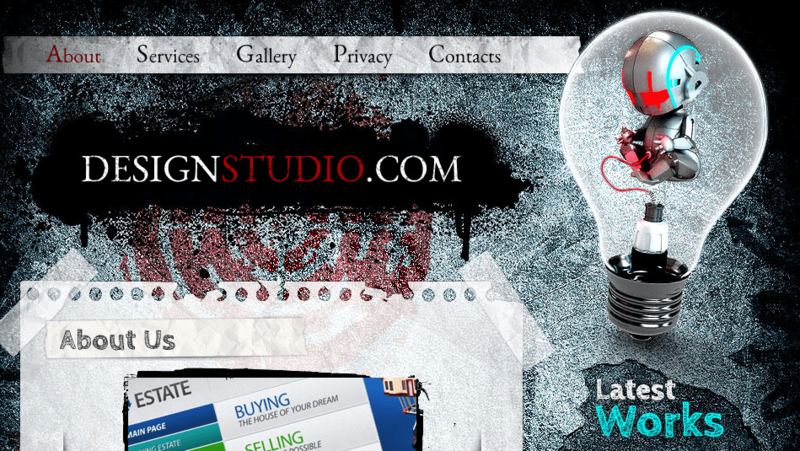 Design Studio Template is a free html website template that will work with all browsers. It’s full documented with HTML and CSS files, images, and PSD file. 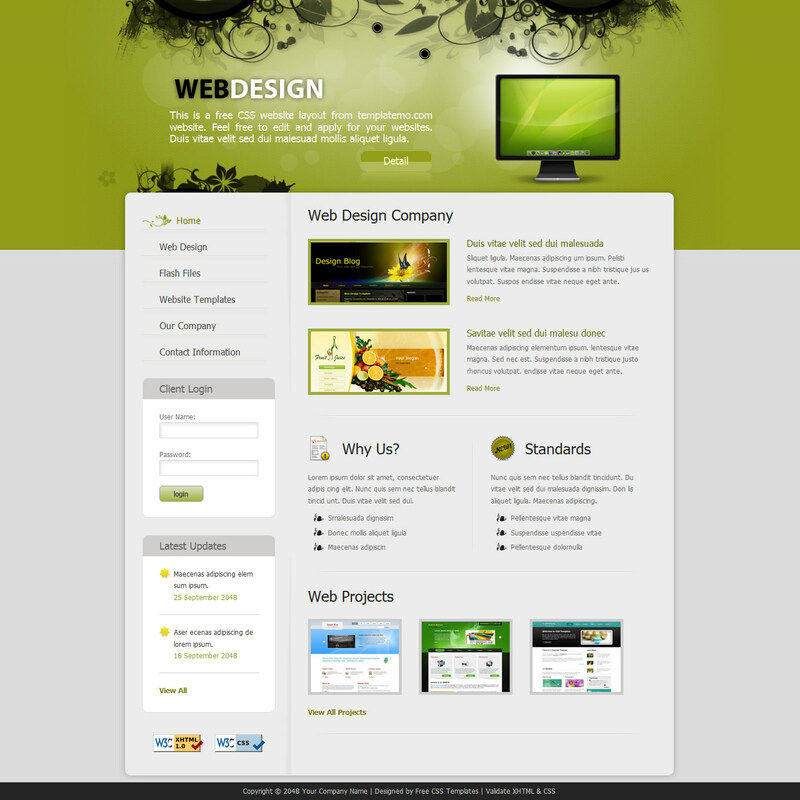 Her Designs template is a free html website template that will work with all browsers. It’s full documented with HTML and CSS files, images, and PSD file. 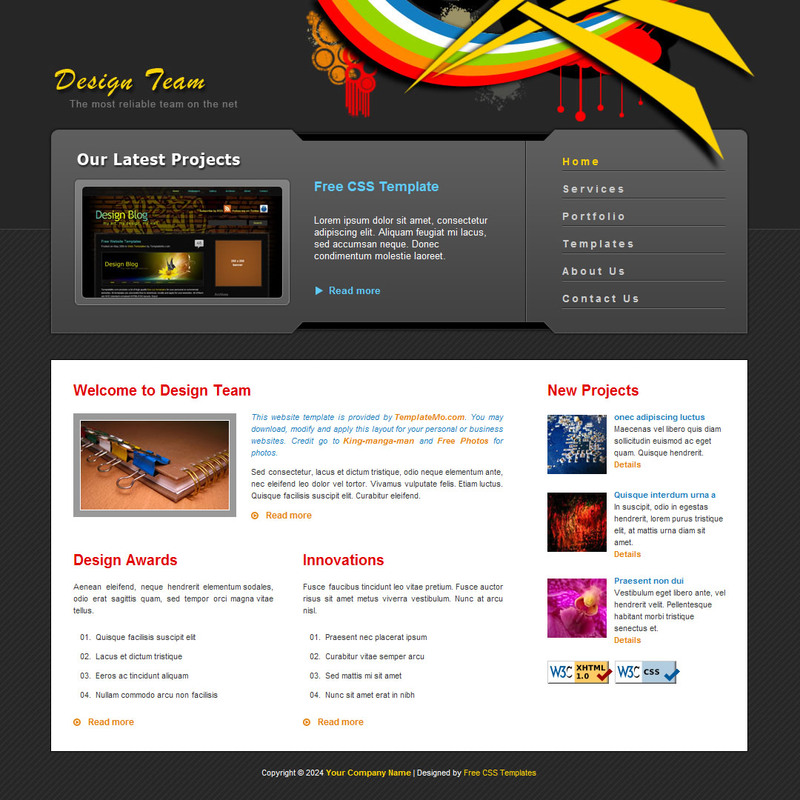 Chrome 3D Template is a free html website template that will work with all browsers. It’s full documented with HTML and CSS files, images, and PSD file.